Web Designing Company of Kolkata Website Design Web Development Software Development Web Application Development Company,Ecommerce Solution. If you wish to expand your business and open new horizons of e-commerce in the unlimited field of World Wide Web... Sristi Technologies offer a wide range of web development services using innovative technologies and modern tools in variety of application areas: Can you judge a business by its website? At Sristi Technologies we believe that's exactly what millions of Internet users do every day. Our design focuses on creating a positive user experience by delivering information quickly and efficiently. Our developers are accustomed to managing the practical issues of web design. We take into account everything from platform compatibility to search engine visibility and the details in between. 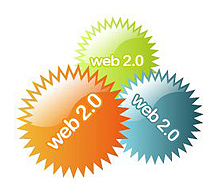 The Web Sauce team is a multi-disciplinary group experienced at meeting the continuously changing demands of the web.